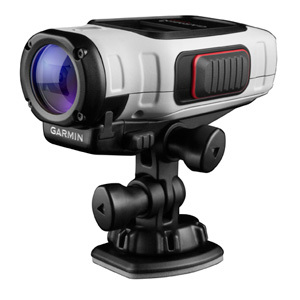 We all have heard of the small camera that records in 1080p which all famous sporters use called the GoPro, well Garmin is looking to change this by introducing the VIRB a 1080p “Action sport camera”. The VIRB provides many features the GoPro hasn’t, like the GoPro it will record in 1080p 1920 × 1080; 30 fps but its also durable, able to endure shock, extreme temperatures and getting dunked in water, has a 3 hour lasting battery if recording in 1080p, has a 16 Megapixel camera, slowmotion up to 120fps and can make pictures at 4664×3496 resolution. Another cool feature the VIRB has is that it provides a small display allowing you to view your recordings, adjust settings etc. The VIRB also comes with ANT+ a wireless technology that will allow you to control your cameras through GPS which consumes very little power, allowing it to be on stand by for days. The standard model costs $299 and the Elite model will cost 399$ vs the GoPro stand model which starts at $199 but doesn’t include most of VIRB’s functions, the GoPro with similar functions as the VIRB starts at $449. Garmin’s VIRB will be available this September, Do you think it will provide competition for the GoPro’s? Let us know!